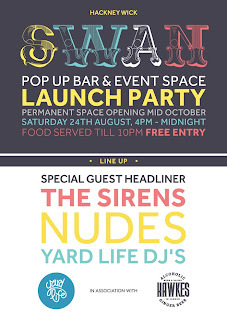 This Saturday is the launch event for The Swan event space on Fish Island, in the increasingly vibrant Hackney Wick. Expect live music, DJs, good times, and some really great pizza. 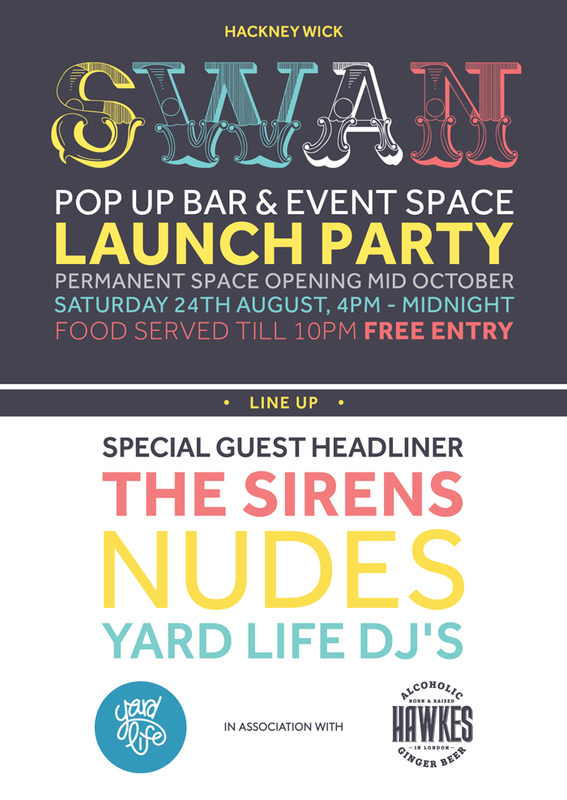 "We are launching with a party of epic proportions... In association with Yard Life festival, we are bringing you a day of very exciting live bands and dj's, along with live illustrators bringing the white walls to life throughout the day. All served with locally sourced/produced food & drinks. The party starts at 4pm and it's FREE entry! We have a fantastic outdoor space during the day where the party kicks off with Yard Life dj's & their enviable collection of disco & house, before moving inside for the bands! VERY SPECIAL HEADLINE ACT - we will be announcing this just before the party, we are hugely excited by this band, a night of real rock n roll ahead! It's a CASH ONLY bar, there are no cash machines in the immediate area, so please be prepared!"